5How Long Should Corporate Records be Kept? If your business is liable for Corporation Tax in California, it is imperative that you keep and retain sufficient business and accounting records, so that you can file an accurate Income Tax Return and calculate how much you need to pay. In this article, you will learn all about which Corporate Records should you keep, how long you should keep them, and more. Read through! Why Keep Corporate Records in California? Good record keeping should be done by any business in Orange County, CA, because it will help you determine whether your company is making money, or losing it. If your business does turn out to have great losses, you can also look back on your records and find out why these happened. Good record keeping will help you prepare your tax returns properly. The right documentation of expenses and transactions will be your defense in case of an audit, as well. With responsible corporate record keeping, you can also prepare your financial statements better, more efficiently identify and categorize various sources of revenue, and keep track of deductible expenses. Which Corporate Records to Keep? The gains and losses of a business must be recorded properly. For example, if you sell real estate that your company owns, you need to gather the necessary documents that will verify the cost of the asset that was sold, the sale price, and details of the improvements that were made, if any. Documents that you will need may include the sales and purchase agreements, escrow papers, brokerage statements, and copies of the checks issued. There must be proper documentation for every general expense made in your business. Documentation must include details such as the date that the expense was made, and the amount paid. It must also be specified that the expense was business related, and for what purpose it was made. Your corporate records should have complete copies of 1099’s, as well as sales invoices, contracts, etc. You will need all of these when you file tax returns. There are basically two ways to file income tax returns: paper and electronic. Both methods require the same record keeping, which includes a detailed summary of your business transactions. You will also need to have complete books and records that support your income, deductions and credits. These books and records may include journals and ledgers, cash register records, sales records, sales invoices, sales contracts, bank statements, W-2’s, 1099’s, and even cancelled checks. The “Burden of Proof” is the responsibility of an entrepreneur to prove the entries, deductions and statements that he or she has made on the tax returns filed. 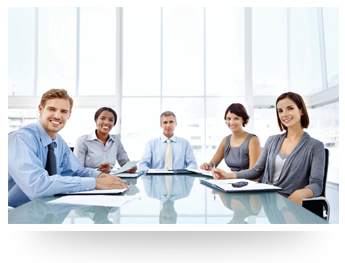 A good businessperson is able to substantiate elements of expenses in order to deduct them. What many regular taxpayers do is keep receipts and other related documents to prove certain expenses. 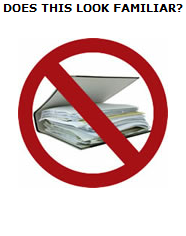 To have a strong “Burden of Proof” for business related expenses, you need to have credible documentary evidences, such as receipts, bill statements, and cancelled checks. Usually, additional evidence is required for travel, entertainment and vehicle expenses. The basic ways to organize and summarize business transactions are through journals and ledgers. Some businesses in California only keep a journal, while some have both. It really depends on the type of business you have. These days, most of these are in computer software format. Ask an IT technician about this software for more efficient corporate record keeping. All business transactions are recorded thoroughly in a journal. Most businesses have a separate journal for business transactions that occur frequently (e.g. a payroll journal, a check disbursement journal, and/or a sales journal). The totals that you get from all your journals are recorded in a ledger. Ledgers are generally organized into different accounts. How Long Should Corporate Records be Kept? One common concern that businesses have is how long they should keep business records. Sure enough, no one wants a stack of papers piling up over 10 years. You don’t want to be throwing away anything that you might need later on either, though. Information about your income tax return may be requested by the Franchise Tax Board within the California statute of limitations period, which is around 4 years after the due date of the return, or the date the return is filed. Sometimes, this limitations period can extend longer for California, or with federal tax returns that are subject to a federal audit. It is your responsibility to keep a copy of your income tax return and the appropriate documents that verify the income, deductions, adjustments or credits that are stated on the return. There are certain records that you might need to keep longer than others, like property records. Property records need to be kept as long as they are needed to determine and verify the basis of the property. Regardless the size of your business, you will need to have someone to help you keep annual legal records. Corporate lawyers can offer huge assistance in corporate record keeping, by helping you identify which records to keep, maintaining and updating your records books, organizing important documents, etc. Having a corporate attorney around can help you avoid unnecessary problems that could otherwise arise from improper record keeping. 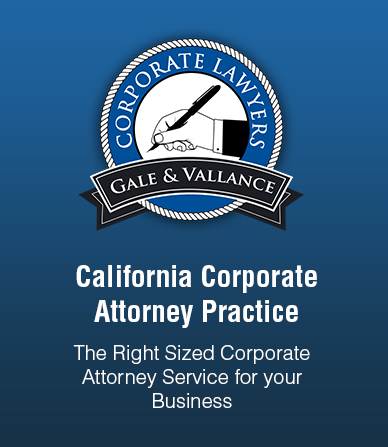 Gale & Vallance has a few of the most competent corporate lawyers in Orange, Orange County, California. They provide a low cost California Corporate Records Program that is designed to assist small to medium sized businesses in California. Contact them today for a free consultation and corporate records review. Call them at (714) 634-1414.